Use this little app for faster traveling in Eve Online. It will warp to zero to the destination gates until destination is reached. At the end autopilot is activated so the ship docks if you set a station as a destination. No configuration needed! Just set a destination in Eve and click "Start H-Bot Eve Pilot". 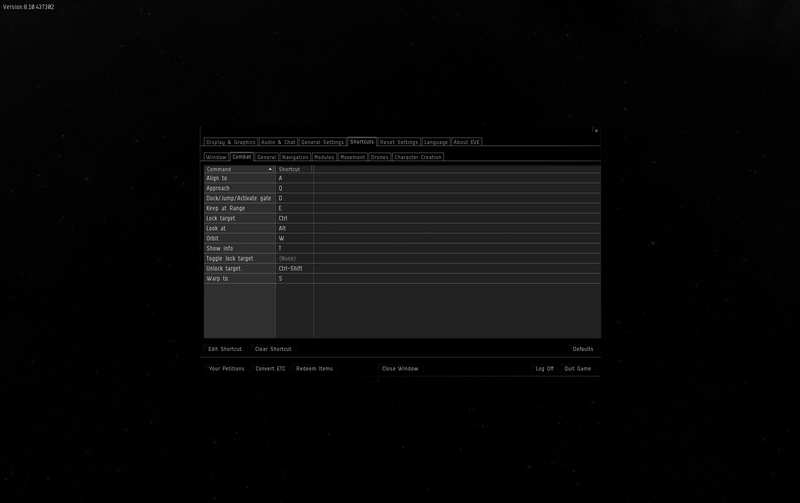 The only requirements are to have the default D+clicking shortcut for jump in Eve, have the overview on the right side and the HUD docked to bottom. I tried the new updated EP, but it doesn't work at all. It simply doesn't do anything. I put the game client into windowed mode, make overview on the right side, then put the EP bot on top of the game client window and press start - simply doesn't do anything. It only says "Initialising", then "Running, move your mouse cursor to stop" but nothing happens. Hello, just tested it and it works. -Have only one Eve client open when you run it. You can send me a screenshot to support@reboot.gr if you still have problem. Hello Mr. Admin! I have everything setup right as you wrote. But the EP doesn't work at all. It just doesn't move the cursor. Is working great for me. Much better than old eve pilot and makes it easy to switch between characters without resetting all the settings. Hi, same here does not work. "Initialising", then "Running, move your mouse cursor to stop"
With the change to corp hangars being scannable for orcas, it would be sweet to add some blockade runner functionality (especially since they will be unscannable). Being able to check a "use cloak" box and as soon as the bot engages warp it presses F1 to engage a cloak would be awesome. Would add a little bit of security to moving more expensive mods. Makes 5 jumps and goes on autopilot. So it should be? No it should go until there are no yellow gates in overview. Do you have only gates in overview ? Is your eve laggy ? 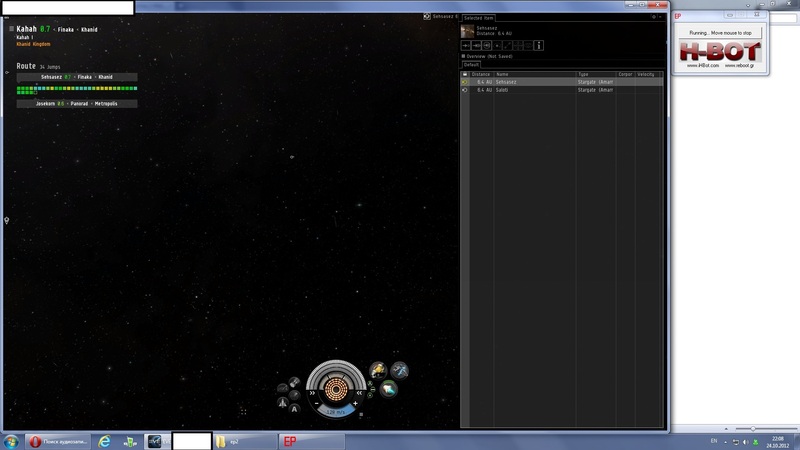 -fixed bug starting the eve autopilot before reaching destination if jumping is delayed few seconds. -added logs to see what's happening. 1) I am used to use 90% UI scaling and Pilot doesnÂ´t work with it. I always have to rescale it to 100% in order to use it. Is there some possibility to make it work with 90% too? 2) I was used to watch a movie while autopiloting. I use VLC media player and this new version of Pilot doesnÂ´t run while watching movie. What to do with it? Otherwise I appreciate EVE Pilot as very good tool. Prior to the Eve Retribution update this bot worked for me. Now when the bot starts it immediately says "Approaching Gate"
Any chance that you will improve docking. I tried setting up an overview which shows gates & stations but at destination h-bot did not use the station which was marked yellow. All you would have to do when you reach destination (no more yellow circles), scan for yellow recantgles and just D+click shortcut again, should be an easy change. Of course people would have to increase the size of the overview to show all items (gates & stations) in systems like jita. But it should be very easy. The actual H-bot definitly has weaknesses there, cause when it reaches destination h-bot just sits there for a very long time I'd say 30-40 seconds doing nothing which gives attackers time to approach, warp scramble and attack your ship. And then it activates autopilot, so after warping your ship has to travel the distance to the station which can also take a huge amount of time given a ship like the obelisk or so again giving attackers time to destroy your ship. Does this still work? I keep getting can't find important coordinates when I click on start. Turns out just need to run it in window mode. Hello, is the bot still working? tested it out and done all the steps, keeps saying "Can't find ov arrow"
Unfortunately still doesnt work for me; if i check the version (in about) it says its still 2.1, is it really 2.3 or 2.1?